The name conjures up the drama, wealth and high jinks of the Kentucky Derby and the bourbon which bears this state’s name, but there’s much more to Kentucky’s love of horses than just one race and some of Kentucky’s counties are dry, so all is definitely not what it seems. In a state this size it’s always going to be tough to refine recommendations for the best places to stay in Kentucky, but our Guru’s list includes both small B&Bs in sleepy, pine-laced hamlets, and grand Louisville dames. Kentucky is breathtakingly beautiful. Especially if you’ve a thing for the wild west. The rolling limestone hills and lush pastures of Kentucky’s horse-breeding country are a sight right out of a frontier film. As well as fields of bluegrass, Central Kentucky is also where you’ll find the 700,000 acres of dramatically rugged scenery of the Daniel Boone National Forest and the natural sandstone arches and sheer cliffs of the Red River Gorge and the Mammoth Cave National Park, which has the world’s largest underground cave system. Central Kentucky also has Bardstown, the ‘Bourbon Capital of the World’, Hodgenville, where Abraham Lincoln grew up, Lexington and the Shaker Village of Pleasant Hill. Louisville is thought of as the gateway to ‘the South’, so there’s an air of old fashioned hospitality. It has long been a transport hub - first the river and then rail - and it’s a bit overlooked as a visitor destination outside of Derby time. But the Victorian architecture is impressive and there are numerous wonderful museums, some of them pleasingly niche, classy old neighbourhoods, hipster bars and farm-to-table restaurants popping up everywhere. Then there’s Lexington, home to the University of Kentucky and the million-dollar thoroughbred industry, Fort Knox which, funny enough, the home of Fort Knox and Frankfort, the peaceful state capital. For a slice of Kentucky Bluegrass country, you'll need to head to Berea. It has a vibrant arts and craft scene and is surrounded by beautiful countryside. Use our guide to the best places to stay in Kentucky to help to plan your trip, whatever your reason to visit. The 21C Museum Hotel (Louisville) is also home to a popular contemporary art space and both the public spaces and the rooms benefit from an overspilling of art onto their walls as well. The 90 rooms are modern, lively and luxurious and you’re right in the centre of things. With a great restaurant, gym, spa and sauna. 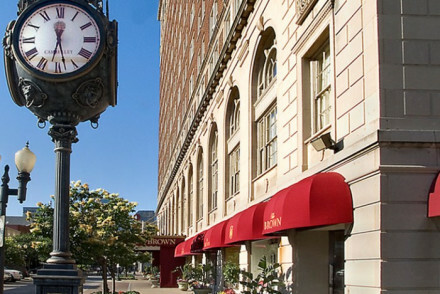 The Brown Hotel Louisville, is a grand old hotel with a Georgian Revival facade, wonderfully impressive public spaces and almost 300 comfortably modern bedrooms. Right in the heart of the action with doubles starting from around £120 per night. 21c Museum Hotel, Lexington is an inspiring, contemporary art museum come boutique hotel in the historic Fayette National Bank Building. White on white rooms with contemporary furnishings, splashes of pop colours and original art on the walls. Restaurant championing local Bluegrass ingredients. Lively and super-artsy. 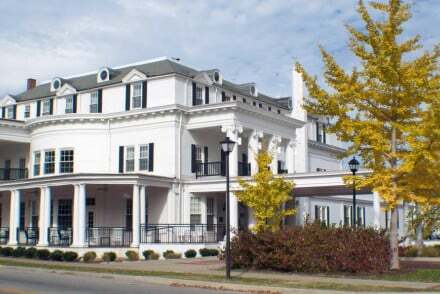 The Boone Tavern Hotel in Berea is a charming, traditional hotel with a classical facade and nice features like handcrafted furniture and high ceilings. A perfect place to come for strolls around forests and pokes through artisan boutiques. If you'd prefer a self-catering option this holiday - don't hesitate to visit our online partner Booking.com for a diverse range of properties to suit holidays of all types. Fly to Cincinnati/Northern Kentucky International Airport located 20.5km (12.8 miles) from Cincinnati with a wide range of both domestic and International flights including to Europe and Canada. Otherwise lexington or Louisville. Alternatively, catch a train to Kentucky with Amtrak rail routes linking Kentucky to other states. Best time to visit - Springtime from March to May provides moderate temperatures which are ideal for enjoying the great outdoors and many sights. A traditional, charming hotel. Breathtaking traditional exterior features a classical facade. Smart, comfortable rooms contain handcrafted furniture, and high ceilings. A perfect base for admiring the surrounding forests and artisan boutiques. 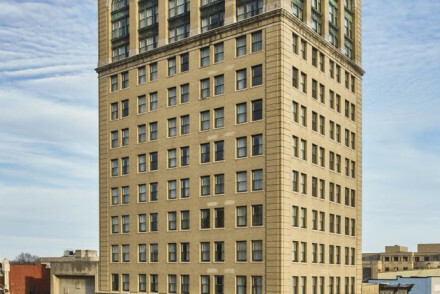 An inspiring, contemporary art museum come boutique hotel in the historic Fayette National Bank Building. White on white rooms with contemporary furnishings, splashes of pop colours and original art on the walls. Restaurant championing local Bluegrass ingredients. Lively and super-artsy. A grand hotel with a striking Georgian Revival facade which embodies Old World elegance complemented by top notch modern conmforts. Classic decor in the rooms and OTT interiors in the public areas. Prime location in downtown Louisville. Enjoy southern hospitality in historic grandeur. A welcome addition to Covington, the less developed little sister of Cincinnati, on the Ohio-Kentucky river border. This historic skyscraper now houses a cool contemporary hotel worthy of any big city. The interiors are original and inspired and the restaurant and bar are worth checking out. 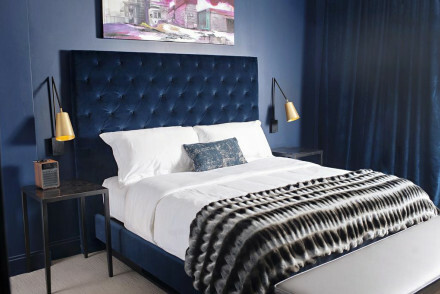 Home of a popular contemporary art space this hotel is modern, lively and luxurious in the heart of the city. Rooms have every comfort, and all spaces mirror the museum with works of art. Proof on Main brings sophisticated dining and is frequented by locals. Gym, Spa and Sauna-truly has it all! Sights nearby - Louisville Slugger Museum Factory and the Science Centre are short walking distance.